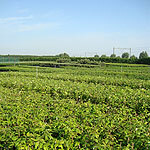 Looking for a complete supplier of fruit trees and plants? 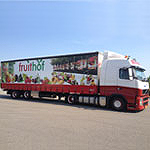 Fruithof is a nursery and wholesale of fruit trees and fruit plants that are grown for the consumer. Our years of experience and knowledge guarantee uniform, distinctive, high quality and visually appealing products of excellent quality. 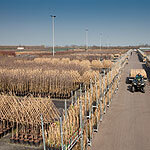 All our plants are in pots, and are therefore available throughout the year. The plants are sustainably maintained at our nursery until they are ready for sale. Our fruit trees have slow-growing rootstock on which they are not only perfect for the private garden, but also give really tasty fruits. And of course that’s what matters! 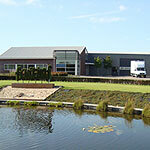 We are supplier of a complete fruit concept for garden centers in The Netherlands and abroad. 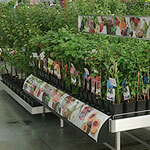 You can contact us for more than 150 different varieties. Our marketing consist of pretty presentation tables, sleek colorful banners and labels. Look for more information at our website or contact us.